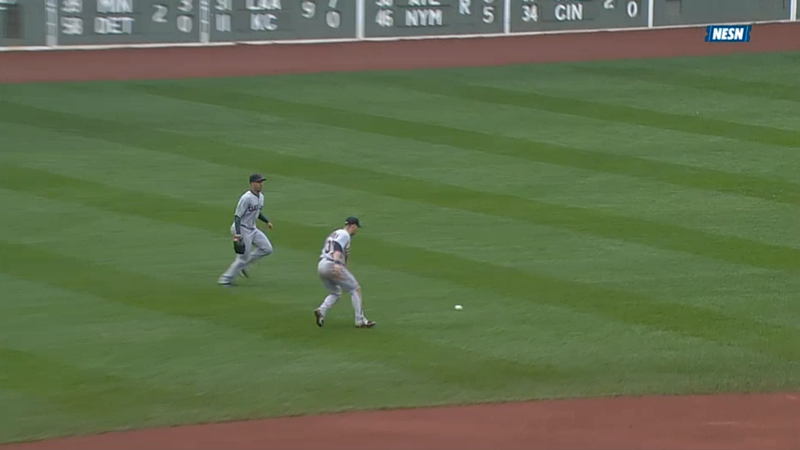 Jonny Gomes is not an outstanding outfielder by any means but he goes all out on every play. He’ll make friends with the fences, splay his body on the sod, and commune with the cutoff man. 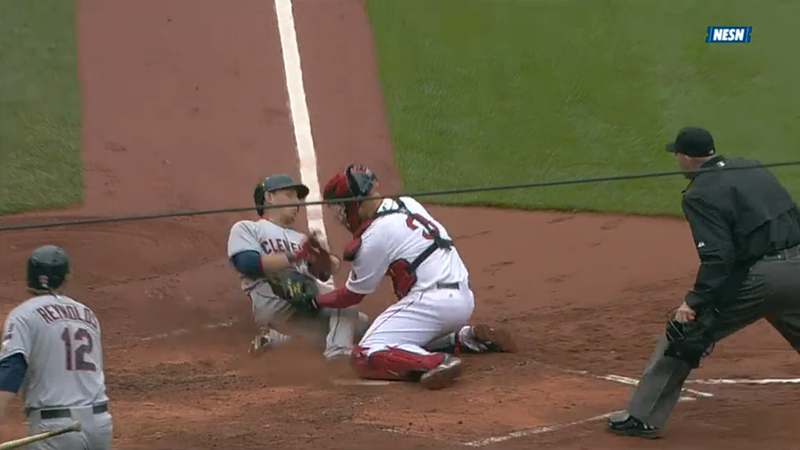 In the third he gathered Nick Swisher’s single and fired to David Ross to cut down Asdrubal Cabrera at home. Despite the superlative defensive play the Red Sox went into the eighth inning down a run. With one man out Pedro Ciriaco sent a double to center field. Jacoby Ellsbury struck out, so with two outs Mike Carp pinch hit for Gomes to leverage Carp’s left-handedness. Carp promptly doubled off the wall to tie the game. Not to be outdone, Dustin Pedroia doubled higher off the wall to give his team the lead. David Ortiz was intentionally walked and Mike Napoli unintentionally walked to load the bases. The reliever Vinnie Pestano was rattled and the defense behind him unraveled. Daniel Nava popped up in what should have been a fairly routine out to shortstop but the ball dropped between Cabrera and Michael Brantley. Two runs scored on the misplay. 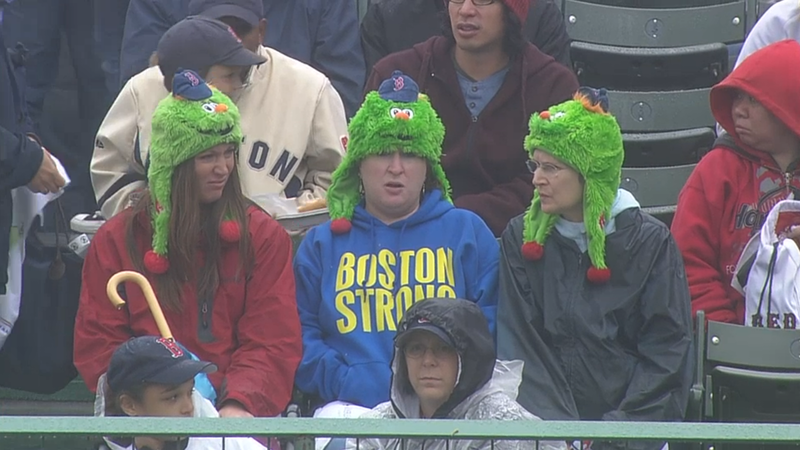 The Wally hat has reached epidemic proportions. For variety, at least throw in a Bruins hat in support of our crosstown neighbors during their playoff run. The Bruins advanced to the Eastern Conference finals but face the star-packed Pittsburgh Penguins.